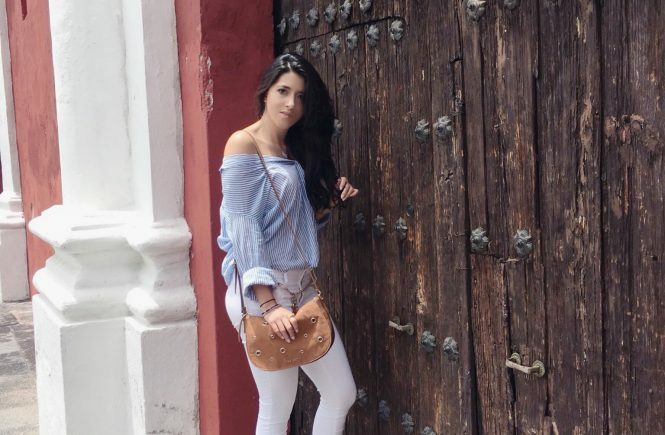 As you may know by now, I love to come and go to small cities and towns that are near the City of Mexico, just to walk and experience the beautiful culture and traditions of my country, for this reason we decided to organise a little gastronomic trip to the beautiful city of Puebla. Como algunos de ustedes ya lo sabrán, me encanta escaparme a ciudades y pueblos que están cerca de la Cd. 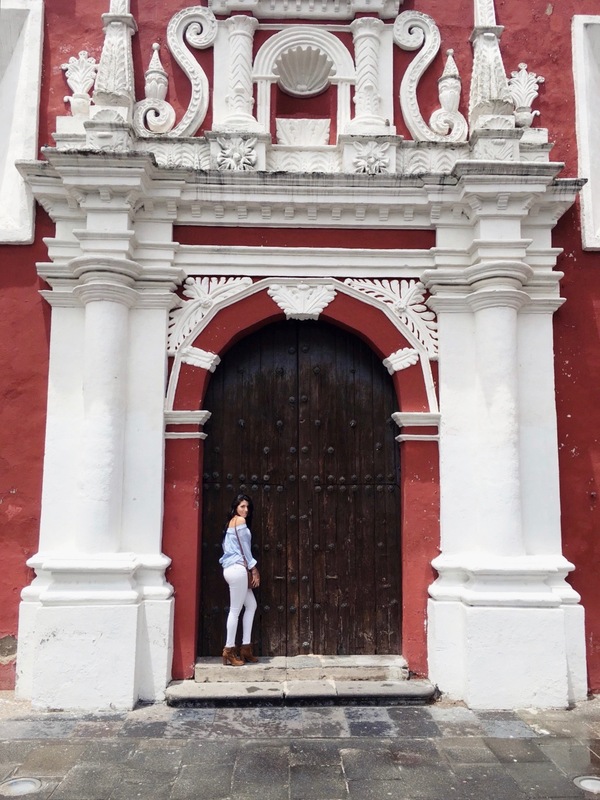 de Mexico, caminar y conocer la hermosa cultura y tradiciones de mi país, justo por esta razón decidimos organizar este fin de semana un pequeño viaje gastronómico a la hermosa ciudad de Puebla. Puebla is a beautiful city, with lots of cool stuff to do with friends and family, but this trips is all about the gastronomic wonders they have, so lets get in to it. First lets get dessert. Sorry but Puebla has a lot of places with special Mexican candy; so for me dessert is a must and to have it before my meal was bomb! 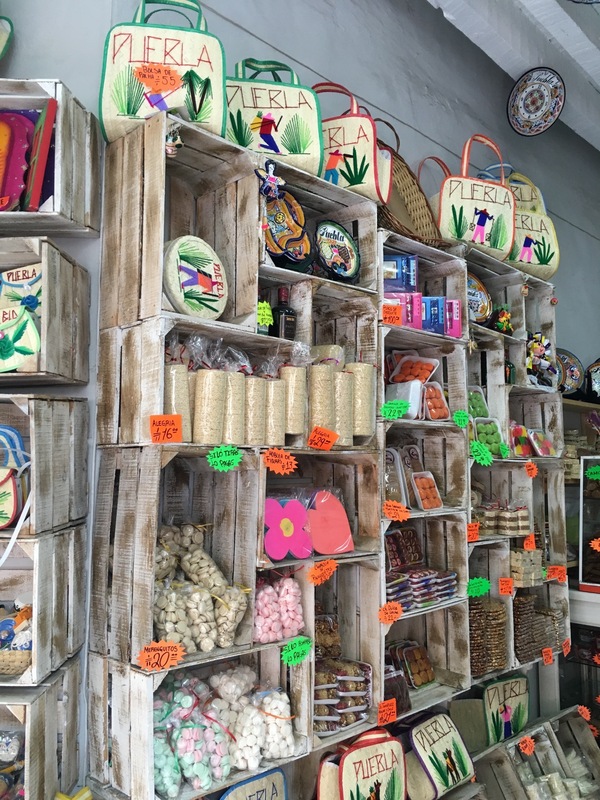 My favourite candy is Borrachitos: traditional mexican candy from the state of Puebla, made from flour and sugar they come in different flavours but the best is Tequila. Chiles en Nogada. One of the must emblematic gastronomic traditions in Mexico, a pepper is stuffed with meat and dried fruits, covered in walnut sauce and garnished with pomegranate seeds and parsley, oh and there’s a catch!! Do to the ingredients you can only make true chiles en nogada from July to mid September, so if you wanna try them be aware of the dates. If you wanna try the best Chiles en Nogada and Enchilas de Mole, go to RESTAURANTE MI CIUDAD, absolutely the best place in Puebla. 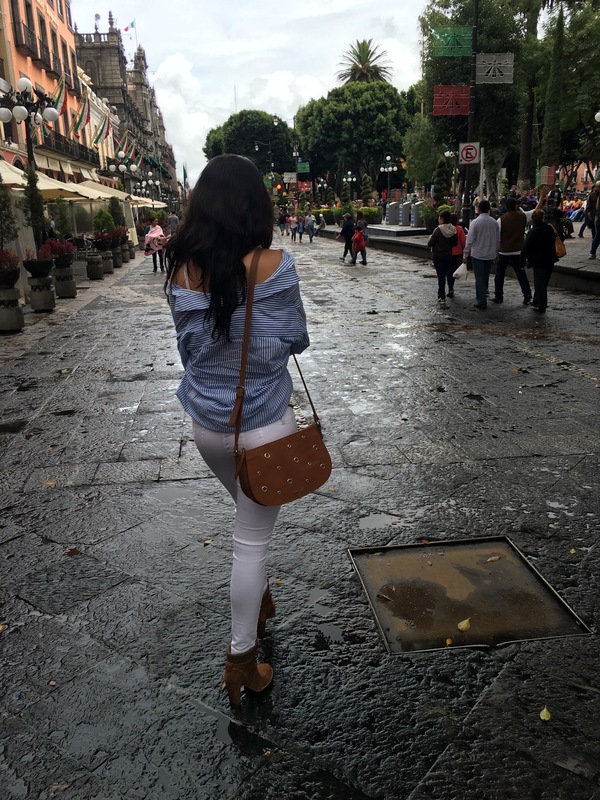 Puebla es una ciudad increíble, con muchas de actividades interesantes que hacer con amigos y familiares, pero ya tendremos otro viaje para hacerlas todas, así que enfoquémonos en las maravillas gastronómicas. En primer lugar vamos a comer el postre. Puebla cuenta con una gran cantidad de lugares donde los dulces mexicanos son la especialidad; así que para mí el postre es una gran y deliciosa necesidad! Dulce favorito: Borrachitos- Caramelo tradicional mexicano del estado de Puebla, a base de harina y azúcar que vienen en diferentes sabores pero el mejor es el de Tequila. 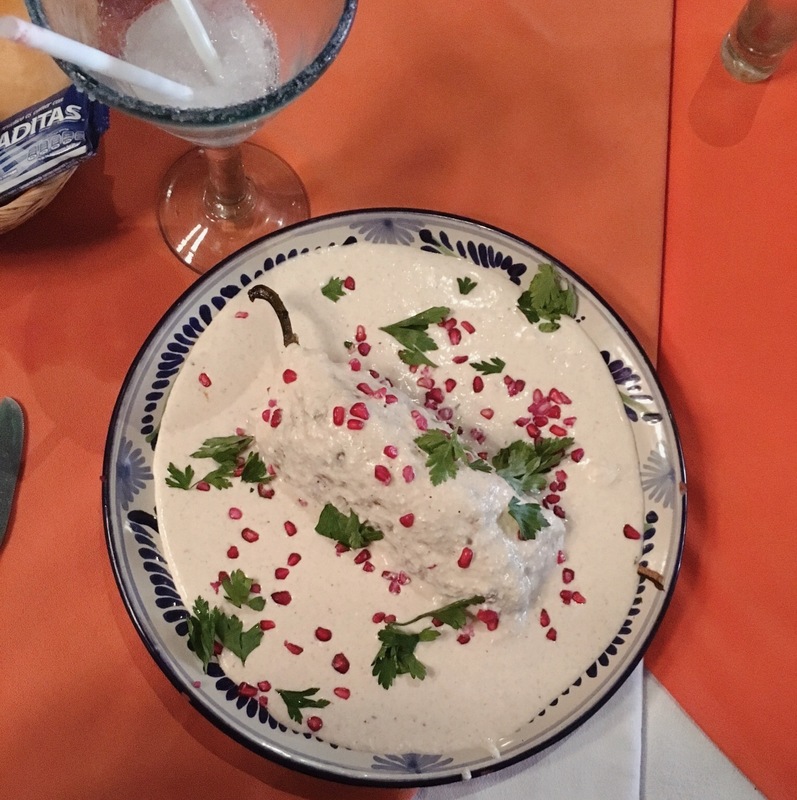 Chiles en Nogada. 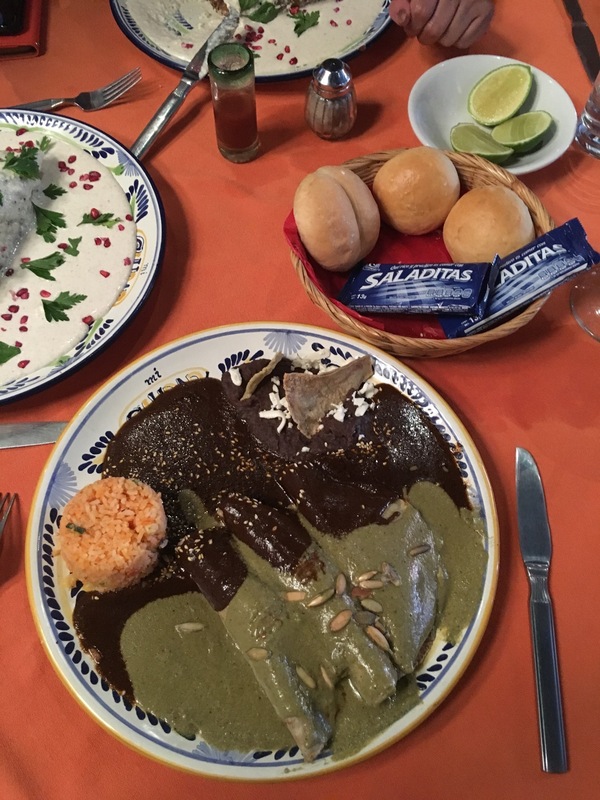 Una de las tradiciones gastronómicas emblemáticas de México, un chile poblano relleno con carne y frutos secos, cubierto de salsa de nueces y adornado con semillas de granada y el perejil, ah y hay una mala noticia!! Por los diferentes y únicos ingredientes, sólo se puede hacer este platillo en los meses de julio, agosto y septiembre. Clásicas Enchiladas. No hay nada más clásico y típico en la cocina mexicana que enchiladas, una tortilla de maíz rellena de pollo, cubierta en moles o salsa. 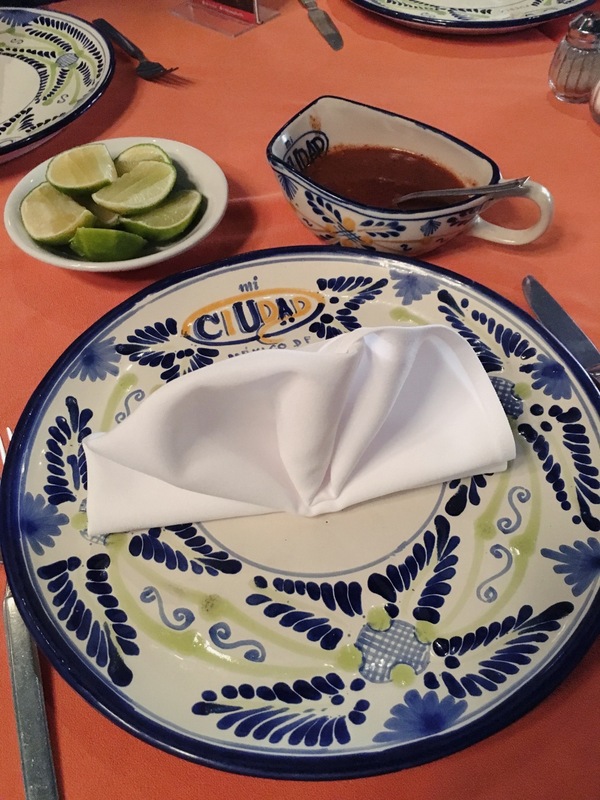 Si quieres probar los mejores chiles en nogada y Enchilas de Mole, ir a RESTAURANTE MI CIUDAD, absolutamente el mejor lugar en Puebla. Great photos, and the food looks amazing!! 🙂 I must try these dishes sometime (although I’m not sure where I can find authentic Mexican food in Germany)! This looks and sounds incredible! I’m especially curious about the tequila candy! I love your outfit and what a pretty place to visit. I love exploring new places too! I love the photos, it looks so vibrant there. I agree dessert first is great! Those desserts look incredible, and I love the look of the shop in the last picture. Exploring the city must have been fun. I’m loving the outfit! I have to look into those Borrachitos too. This seems like a great place to visit, it looks so beautiful! I loved your outfit and it looks like you had a really good time! Nice photos! What a great place that I should visit. And that food – yum! What brilliant photos and nice place to visit too! Oh wow. 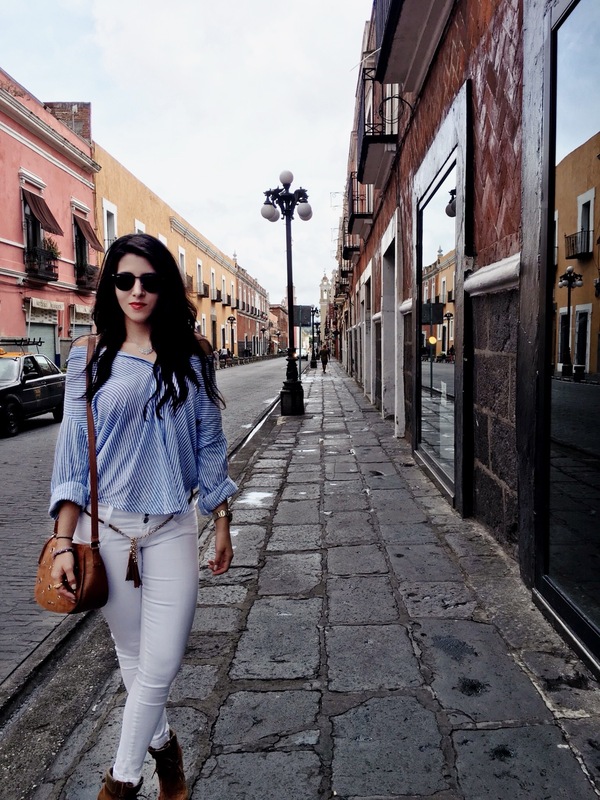 I would love to visit Puebla. It looks amazing and beautiful. Thanks for sharing all about it. I absolutely love anything mexican, because it’s my favourite country, so I’d love to be able to visit here! Only ever been to Playa Del Carmen and that area! 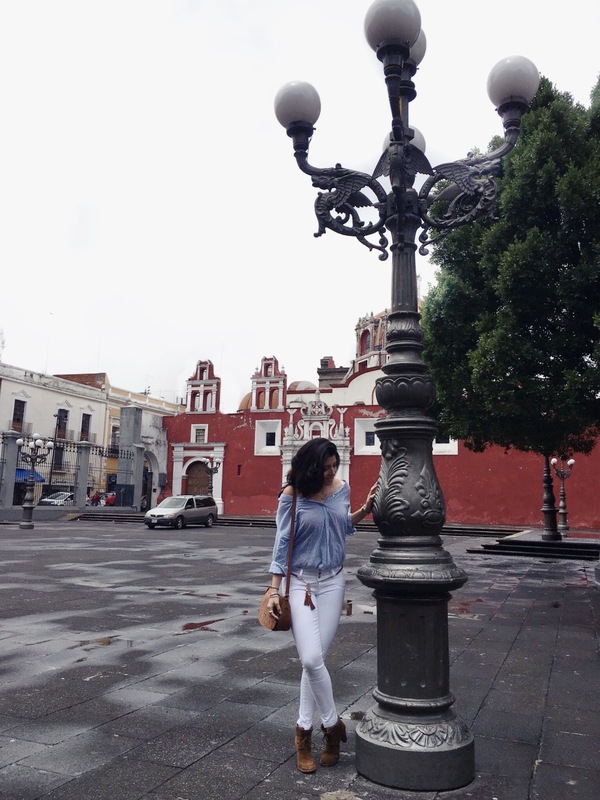 What a lovely post and even lovelier city, I had not heard of Puebla before so thanks for the intro. Such gorgeous photos! I’ve never been here before but know I want to. This sounds like a great day out. I like the sound of Chiles en Nogada.